We are famous for transport and automobile advertising; however, good character advertising and client satisfaction is our motto. We are a sign company. In case you require sign work concluded until the end we do it exceedingly well. Our company is two decades old in business. We have ample sign design Boston region samples to show before you place an order. As a sign company, we resolve dilemmas. Sign design works all 24 hours for you once they are displayed. Their life lasts when they are pulled down. Obstacle in reaching success happens because of down and out signage. It could be awful first impression imposed on a restaurant else dreadful curb display on the exterior for all to see. As an office sign company Boston MA we feel that clients should formulate policy for spending finance for exterior advertising. Image building is an important aspect of business growth. Every company must keep some finance for their business marketing. In order to get maximum output, a reputed company with many years of experience should be hired. In case firms, especially the new ones do not set aside finance for sign design then disparity of prosperity is below 50%. If outside branding display is pictorial enough it will ultimately bring people inside creating business opportunity. The variety in signs that we make vary from Gold leaf carved to lighted channel alphabets; from vinyl metal else wood; glass windows and doors also use signs; the display uses the flat, embossed and 3-dimensional method. The sign can be personalized by us on demand. 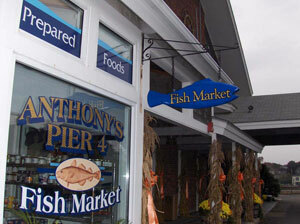 You show us a sample or explain what you want and our sign design Boston experts will construct it for you. We have practical means of arriving at your set goals. We are easy to contact. Leave a message our customer care team will contact you. Our lines are open 24 x 7 on all days. You can write an E-Mail to us and we will revert back. Being the best office sign company Boston MA, we are happy to entertain all your queries. We undertake home or office visits to understanding the layout better. Do get in touch with us.